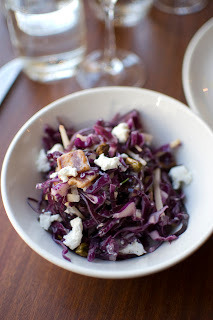 Hey gang – it’s time for the second post of my Seattle Dining Series, and our spotlight is on RN74. RN74 was created from Seattle restauranteur Michael Mina – so it’s no surprise that this restaurant and wine bar blends its Americana and French-inspired cuisine and decor so perfectly. On a recent trip to Seattle, we stopped by RN74 for an early happy hour and couldn’t have been more happy we made the time. 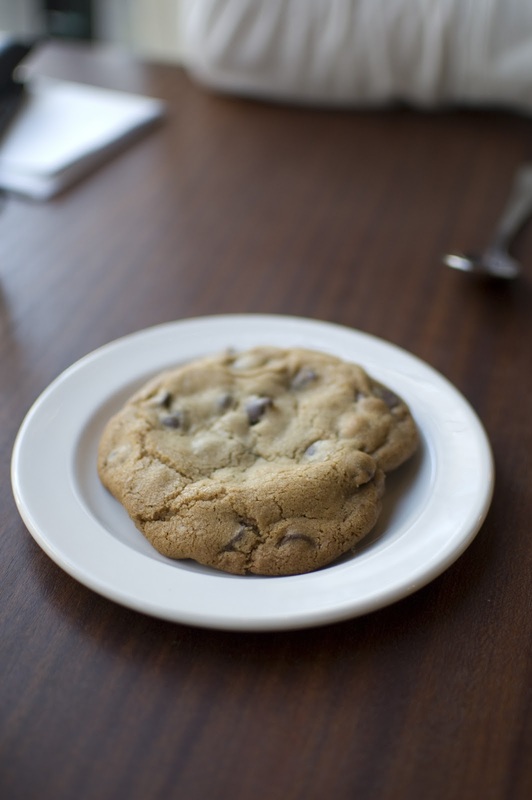 If you’re visiting Seattle and staying downtown (IFBC attendees, I’m looking at you! ), this is a must visit. It’s hands down one of the best restaurants in downtown Seattle. The happy hour offered a great selection of both light and more-filling munchies, and we were pleasantly surprised about the quantity and quality of the offerings. I honestly thought that RN74 might be unapproachable or pretentious; but it was quite the opposite. Not only was the food delicious and well priced (for happy hour – dinner is obviously a higher price point), but the RN74 staff really went out of their way to be helpful. Plus, when they heard about my Seattle Dining Series project, RN74’s manager proceeded to make a list of her favorite dining spots in Seattle. We’ve since hit several places on her list. They are all winners. The verdict: whether you’re a local native planning a romantic date night – or a Seattle visitor looking for a taste of the Northwest, RN74 won’t disappoint. 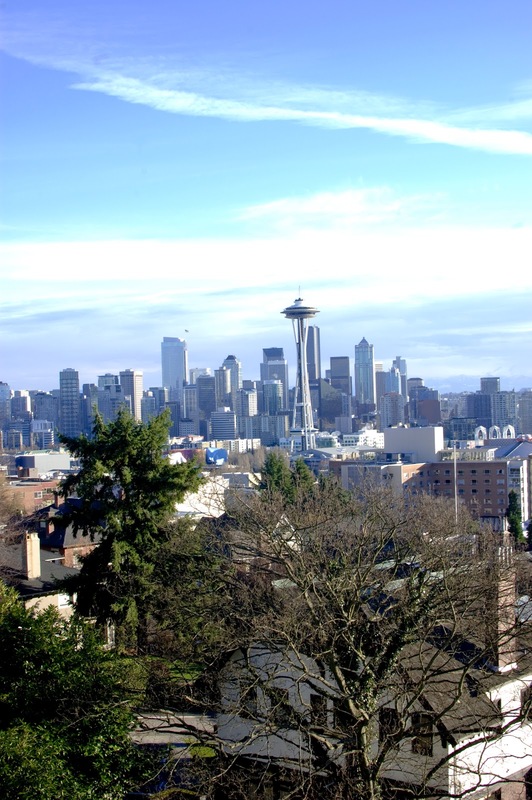 Seattle is just a three hour drive from Portland. We have family and friends in the area, so between weddings, birthday parties and weekend getaways, we’re up there at least several times a year. Typically we hang out with our loved ones, but our goal this year was to start exploring more of the Seattle dining scene during our visits. After all, the city has a lot to offer. 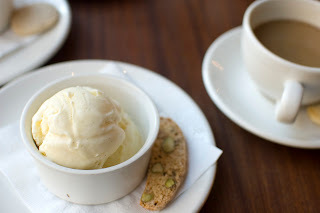 Plus – with the International Food Blogger’s Conference (IFBC) being held in Seattle in just two months, I figured I should brush up on the local food scene so I could actually be a resource for the hundreds of bloggers flying in from around the world. 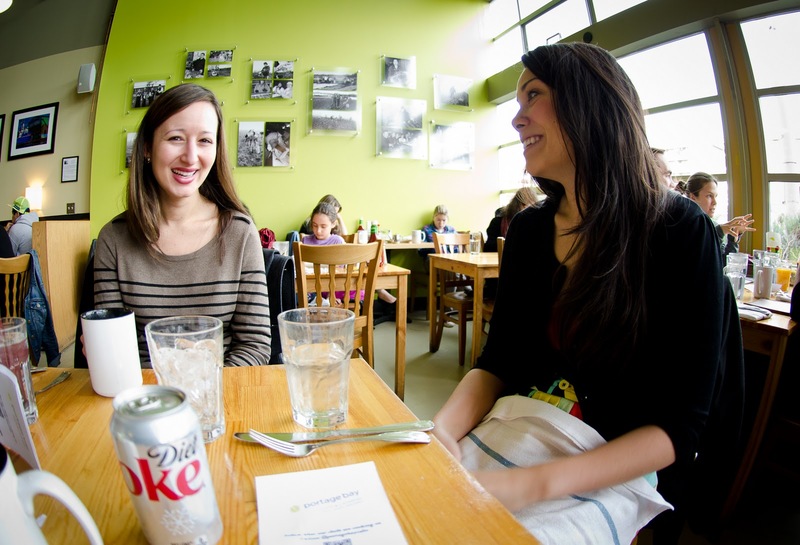 The first round of our Seattle Dining Series experiment was a smashing success. 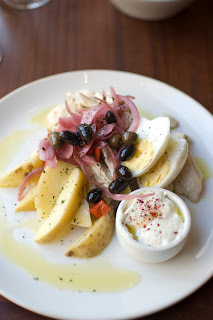 We visited a Spanish Tapas restaurant called Ocho in Seattle’s Freemont neighborhood. 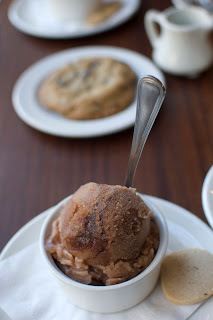 It’s a small restaurant in a neighborhood filled with fabulous food options – and we very well may have missed it completely if it hadn’t been recommended to us. First off, Ocho gives off a vibrant and warm vibe. From colorful chalkboard signs that list the tapas of the day to a hustling and bustling flow of patrons coming in and out – I knew immediately we’d found a winner. We didn’t mind waiting for seats, and ended up nabbing a few at the bar. This turned out to be a great decision. The bartender was incredibly knowledgeable about the menu, and in the end suggested having of sample the Chef’s choice. We tasted bites from large variety of the menu, including cocktails, tapas and desserts. Delicious, authentic, and fun. 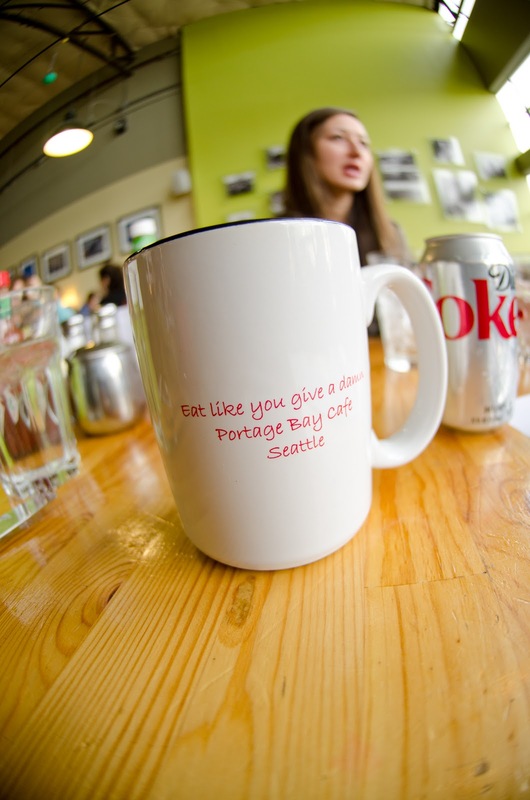 On a recent trip to Seattle, Sam and I got to catch up with a dear friend over breakfast and coffee at Portage Bay Cafe. 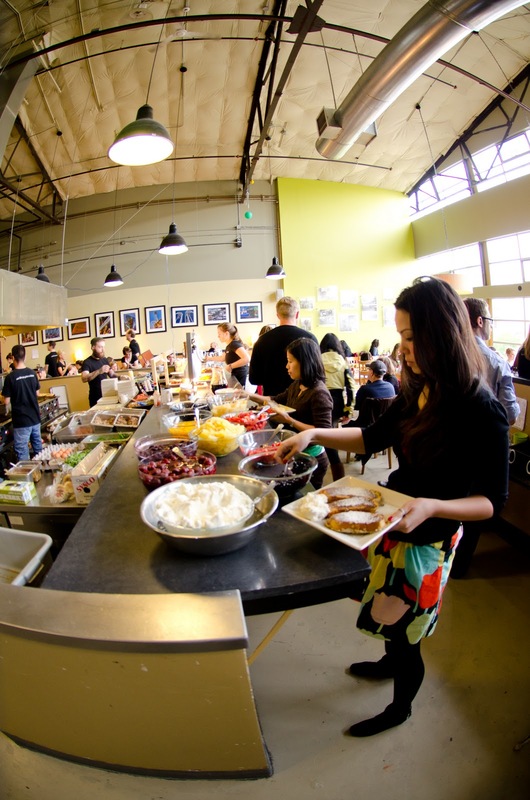 “Eat like you give a damn,” is a fitting saying for a company that serves local, organic and sustainable ingredients. 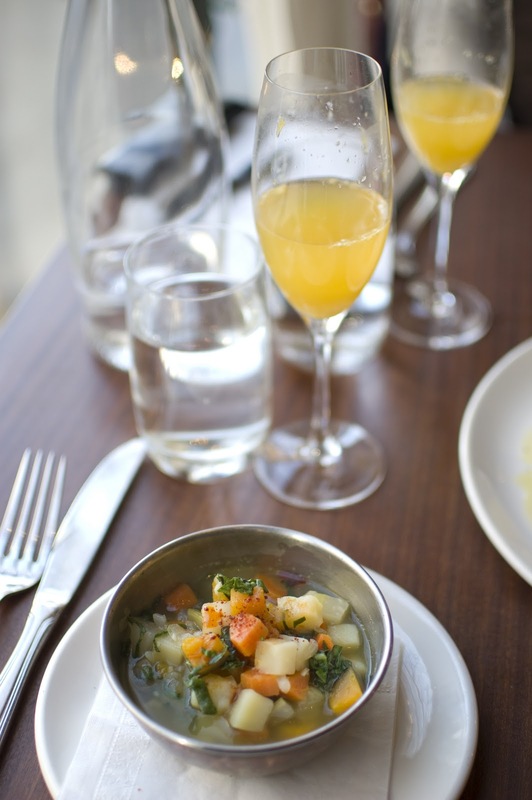 The menu boasts a fair amount of vegan and gluten free options, too. 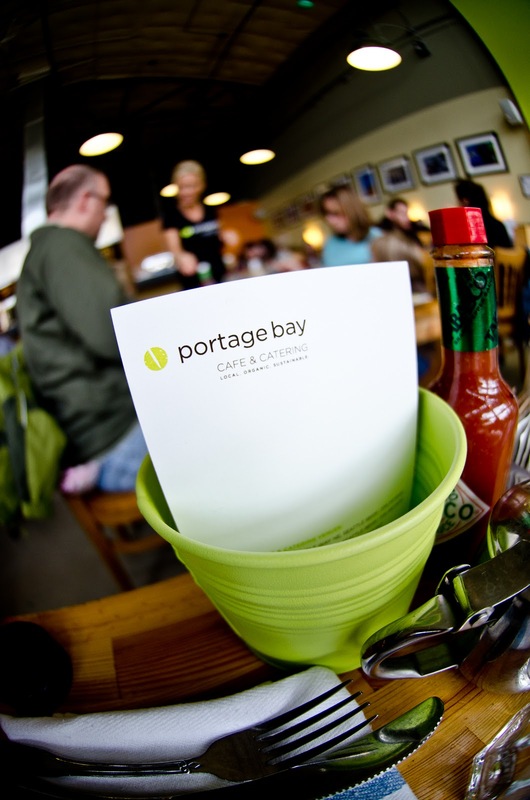 Portage Bay has three locations in the Seattle area, and despite our bias against “chain restaurants,” Sam and I found this spot to be *almost* as fabulous as our favorite breakfast spots in Portland. The menu at Portage Bay is preeetty impressive, featuring just about any breakfast comfort food you can imagine, from Dungeness Crab Cake Benedict to Sweet Rice Porridge. 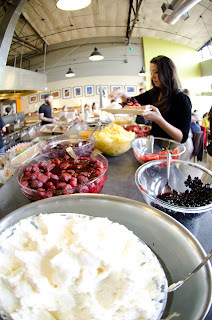 The kicker though, is that any french toast dish grants you entry into the toppings bar – a counter top literally filled with nuts, fruits, whip cream, syrups – aka, heaven. Needless to say, all three of us ordered French Toast. With five varieties to choose from, it was fun to have the chance to try three. 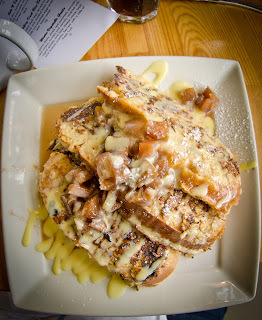 First up was my Apple Cobbler French Toast, a recommendation from our waiter. This dish is made with homemade challah bread, oatmeal-crumb crust, griddled up and covered with an organic apple compote and a drizzle of vanilla crème anglaise. Next up was Sam’s Oven Baked French Toast. This one is made, once again, with the homemade challah, but this time it’s soaked overnight in a ginger and blackberry custard, before griddled. 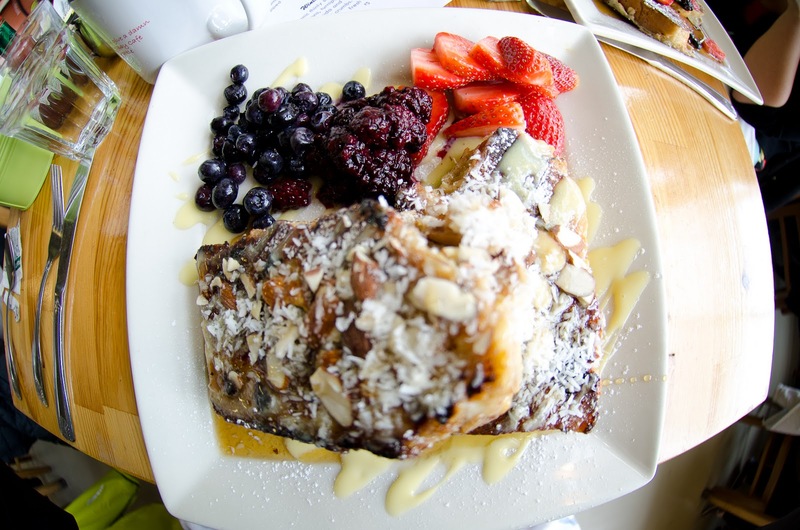 Last, but certainly not least, was Miss Marya’s French toast. “Plain” French Toast may sound dull after reading about the dishes Sam and I ordered. In reality, this challah bread dipped in vanilla egg batter and grilled was no laughing matter. 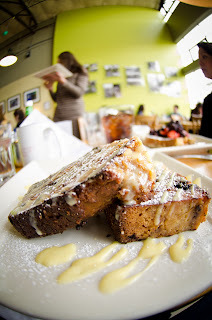 Sam and I will no doubt still boast that Portland has THE best breakfast spots. But, we will know, deep down, that there’s an exception. Over the holidays, I left my fiancé (OMG, that is so weird to say!) and flew home to Hawaii – a supposed break from the Oregon winter. Unfortunately, it poured for the entire week and flooded my family’s home. We spent Christmas ripping out a carpet that smelled like wet dog. I’m not going to lie. It was really gross. *Sigh* Sometimes a girl just needs a margarita. On the bright side, we’ve had some incredibly beautiful days this winter in the Pacific Northwest. Sam planned a getaway weekend for us in early December, which happened to be one of the gorgeously clear weekends. I thought the getaway was awfully romantic; little did I know how romantic the weekend would really get. We drove up to Seattle, where Sam had made hotel reservations. Between family and friends, we’re in Seattle quite a bit. But we’re frugal, and typically we do couch hopping for our weekend getaways. You can image my excitement when we checked in Hotel Max, a gorgeous, artsy and sophisticated hotel that I highly recommend it for your next Seattle excursion. It’s actually the sister hotel to Hotel DeLuxe in Portland – known for it’s similarly unique and artsy scene. Not to mention that the hotels amenities were all Aveda products. Hello! You can bet I stuffed my purse with the extra shampoos before we left. Not only was I impressed with the hotel itself, we were just blocks from Nordstrom, Pike Place Market and the heart of downtown Seattle. Sam couldn’t stop looking at his watch cell phone during check-in, and after dropping off our bags and freshening up, he skirted me off to our lunch reservations. Seriously, lunch reservations. The man clearly did some major planning, and I was impressed, if not weirded out a little bit. Who makes lunch reservations? Well, it’s a good thing Sam did, because we were able to squeeze into a table at the Tilikum Cafe, an adorable little French bistro not far from the hotel. You can read my review here. 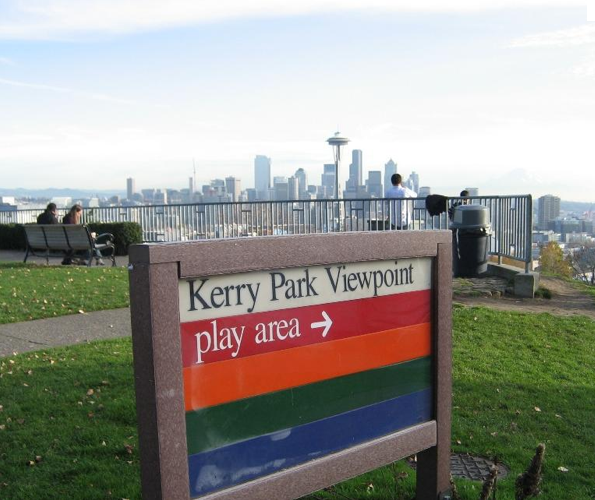 After a pretty incredible lunch, we took a comical taxi ride up to Kerry Park, an overlook a few miles above downtown where Sam wanted to take some cityscape photos (read: he did not really want to take any photos. It’s a good thing I’m completely gullible). We laugh about the cab ride now, but at the time, we were both sitting on the edge of our seats hoping Ashton Kutcher would pop out to tell us it was all a joke. The cab driver didn’t speak English, nor did he obey ANY traffic rules (we’re talking a dead stop in the middle of a crowded Seattle street to look at a map, turning right as we were screaming “left, turn left!” and other serious offenses). Sooo… eventually, we made it to the park, where there was a stunning view of the Space Needle and snow-capped Mountains (don’t ask me which mountains, I’m geographically challenged). Sam took some pictures (none of which came out, the poor guy was so nervous… as if I would have said anything but yes.) and was talk, talk, talking like he does when he’s nervous. He had a bunch of mushy things to say about me, us, our relationship and I’ll spare you of all the details. But at some point, he seemed frustrated with the lens he was using on his camera, and got down on the ground to grab a new lens from his camera bag. It took me a moment before I realized he actually switched out his camera for THE MOST GORGEOUS RING that was hidden in his camera bag. On one knee, Sam asked me to marry him. And although he jokes that I reached my hand out for the ring before opening my mouth, I know that I said yes – and that I felt like the luckiest girl in the world. The rest of the story is a bit of a blur. There were lots of tears (happy ones, of course), and it took me a while to calm down so we could finally call our family and friends, and most importantly, change our Facebook statuses. So that’s the story, two months later. I have to say that, I wasn’t sure being engaged would be any different. But it is. Since we’re in the spirit of Valentine’s Day, I’m going to take a moment to be mushy and say that, I feel closer to Sam than I ever have, and I can’t wait to spend the rest of my life with him. Mental note: If you scribble important blog notes on the back of your Mapquest directions – make sure and not THROW AWAY the scratch paper when you clean out your purse. True story. Sam and I were up in Seattle and made a special trip to Tilikum, which had been recommended by several friends. We had one of the best lunches I’ve had in a long time. It was such a delightful experience that I took extra time detailing the menu, each item we ordered, the tastes and smells, and even the interactions with our waitress (who was a dear!). Despite the fact that I didn’t have my notebook (the lunch was a surprise, planned by Sam), I took notes on scratch paper from my purse (aka our directions to the restaurant) – and I was really excited to share my experience with each of you. However, sometime between that lunch and our drive back down to Portland a few days later, I decided I didn’t need the directions anymore and carelessly threw away the paper. DOH! 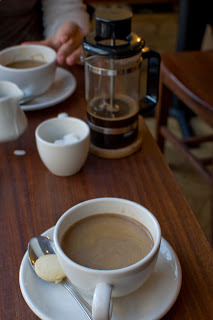 So without many details, here’s a brief – but totally worthwhile – account of our lunch. Tilikum is an unassuming French bistro, just a short walk away from the heart of downtown Seattle. It’s adorable and inviting, and the kind of place that you’d have to stop to peer in while walking by. Inside the small-but-cozy restaurant, we were greeted by a warm staff who seated us at a table by the window, looking out at the Seattle Space Needle. It was one of those rare sunny and clear winter days in the northwest, and the view of the Space Needle was spectacular. Although we showed up at noon expecting lunch, we were greeted with a Saturday brunch menu. 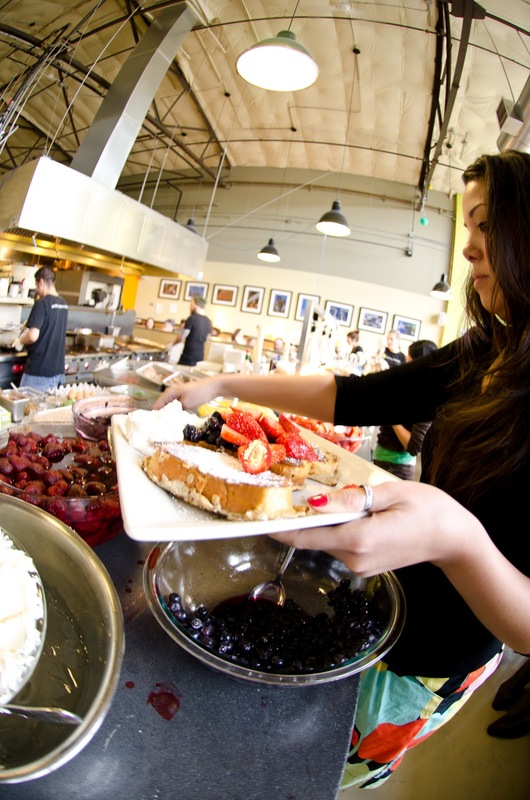 The menu included traditional French breakfasts, salads, quiche and soup, plus daily specials including fresh pastries and crab eggs Benedict. I wouldn’t consider us mid-day drinkers, but since the menu featured mimosas as well, we went ahead and started our Seattle visit with a toast. We’ve heard wonders about Tilikum’s butternut squash quiche, which unfortunately was already sold out by the time we got there (a testament to restaurant’s philosophy for making everything fresh daily). Sam ordered plan B, the Roast Chicken Salad with potatoes, peppers, boiled egg and aioli. This was truly a French style salad – meaning it wasn’t really a salad at all. I think Sam was surprised when it came out looking more like a chicken dish than a pile of lettuce. But let me tell you, he was not disappointed. It was totally delicious. I ordered the special soup of the day, a Kale Garden Vegetable Soup. Sounds pretty simple, but it was so incredibly flavorful and satisfying. Filled with kale, carrots, sweet potatoes and more, I would make this soup weekly if I could get my hands on the recipe. The “salad” I ordered was almost a European style cole slaw; a mix of cabbage, pistachios, bacon and feta cheese with a light vinaigrette dressing. Wowza, Another winning entrée. 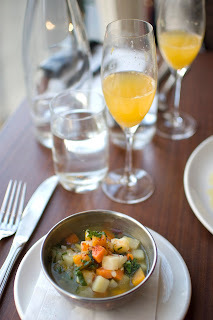 Each dish seemed so effortless and simple, and yet so flavorful and detailed at the same time. There were lots of “oohing” and ”aawing,” and plenty of plate passing during our meal. And Sam doesn’t like sharing his food, so the mimosa must have really got to him. As if the lunch couldn’t get any better, we topped it off with French press coffee, as well as ice cream and Cinnamon Chocolate Chip cookies made fresh in the back kitchen. I stuck with good ole vanilla ice cream, while Sam was adventurous and ordered the cranberry sorbet. A totally extravagant treat to end our fabulous lunch, which seemed fitting. There are about a million other details missing from this scrumptious meal, but if I had to sum it all up: GO THERE. You won’t be disappointed! This is our new favorite spot in Seattle.